Christopher J. Jarmick is a Seattle Area writer and a former Los Angeles TV producer who curates and hosts monthly poetry readings and special events. 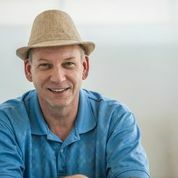 He has performed his own poetry at numerous venues (mostly on the West Coast) for many years and has given lectures, been part of writer conference panels, and given workshops. Other kind souls have published several things he's written (essays, reviews of poems, interviews, stories, editorials) in local and national magazines, newspapers, literary journals and online. His online film reviews have over 3 million page views. His short poem "Dear Poem Owner" is now riding two King County Rapid Ride buses and appears (along with his picture) at the bus stop located at 3rd and Bell in downtown Seattle through 2015). The spring edition (2015) of Poetry Quarterly includes his poem "600: A Poem About Baseball." The summer edition (2015) includes his poem "I Hate Peggy Lee." Recently two anthologies have included his poems: "Hummingbird" will be in Poeming Pigeons (from Poetry Box) and "Poem Starter 119" in Randomly Accessed Poetics: Ghost House (Penhead Press). "I Like Dead Poets" will be in Raven Chronicles fall issue, Vol 22. 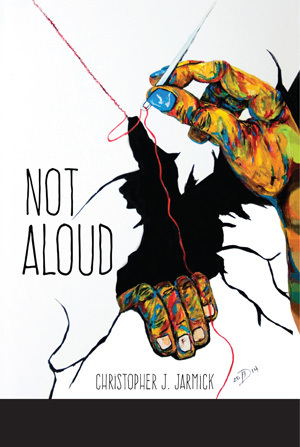 Read a review of Not Aloud by Thomas Hubbard in Raven Chronicles. Christopher will be at the MoonPath Press group reading at Open Books, Seattle, WA. Saturday, November 3rd from 7:00pm - 8:30pm. in ways that Dalí himself never tried. but that was several minutes ago.